Italy has long been known for tons of interesting facts about its culture, places, and people. It is a heavily Catholic country with the democratic government. The country has a long history given that 753 BC marked the foundation of Rome—its capital. Italy also has a background of different city states and kingdoms when the Roman Empire fell apart in 395 AD. There are facts written in history books, but, far from all the people’s awareness, Italy has more secrets to hide – its haunted castles portraying its rich history of having kingdoms. Stories of damned spirits are all around the nation given its most haunted castles. Until now, even tourists swear by the offensive side of Italy which you may also encounter if you will be among the bravest ones to visit these places. This castle is known for its tower present since the 14th century. 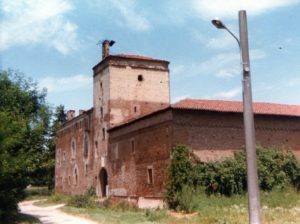 It is located at Torriana, which is near Rimini. Until now, the castle is filled with stories surrounding a little girl named Guendolina. The kid was an albino, which in earlier times, was regarded as damnation. Relatively, albinos are burned to purge the ideology. Nonetheless, town folks claimed that this little girl was protected by her father. She was not allowed to leave her house. Two guards were even tasked to look after her. These all changed on June 21, 1375 when it was reported that the little girl disappeared after looking for a ball that was dropped in the staircase of a basement. The corpse of the little girl was never found. This resulted in people assuming that the girl’s father is the culprit. Tourists or visitors can attest that they have heard the little girl’s cries, showing that somehow her spirit still lives inside the castle. You will find this castle in the Assignee’s central area, particularly in Alpine. It was developed on Dora Balter’s right bank. The existence of the haunted castle began as early as mid 12th century. Regardless of the haunted stories, people still visit the place to have a splendid experience of seeing its colorful frescoes, Fontana del Melograno, and private yard. 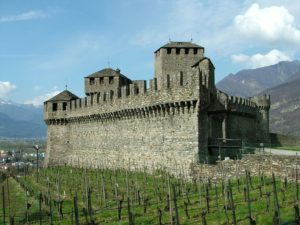 The disturbing story surrounding the castle is all about its previous resident, whose name is Bianca Maria di Challant. This woman is described to be a promiscuos countess given her dozens of lovers and two marriages. These may be cliché, but merely take note of the countless murders this woman was involved with. She was married to Rimes Visconti di Somma and Count Renato di Challant, but records show that her marriages were all failures. People described her to like men a lot. She has power, which means that she can be with anyone she wants. Nonetheless, this woman has a way of keeping her secrets hidden – killing her lovers. As a result, Milan became her resting place after execution. Many witnesses described her as a very charming and beautiful woman, this means that she will not find it difficult to lure men. Though she was beheaded in a different place, people regarded her soul still living in the castle’s rooms. There is no particular reason discovered as to why this castle became a controversy among tourists. It has been regarded as one of the most beautiful castles in the country. It is even open to visitors. The weird thing is, many of these people heard footsteps and noises particularly from the castle’s upper floor. This is understandable if this area was also open to visitors, but it is not. 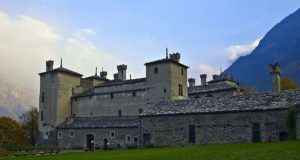 The upper floor of the castle is off-limits for both castle experts and tourists. For centuries, the area has been sealed. This is why paranormals were tasked to investigate the haunted side of the castle. The castle was regarded as the scariest place in the country. It is not only inhabited by a single damned spirit similar to the first two castles but a full procession of evil spirits. Records revealed that the castle was present around the 12th century. 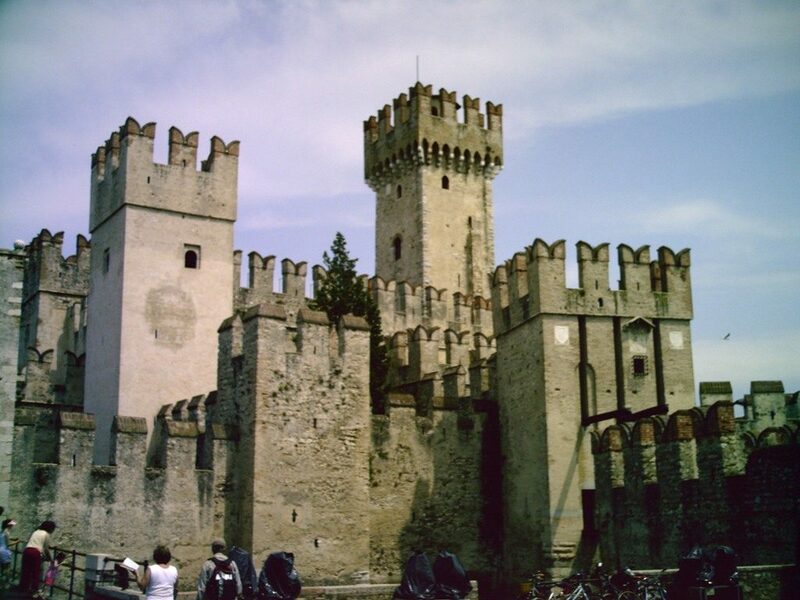 You can locate the castle in a secluded area, approximately 10 km from Moncalieri. If you will observe its construction, it was cleverly built for strategic defense against enemies. The three rivers surrounding the castle are Banna, Po, and Stallone. At the beginning of the 20th century, the rise of ghost stories’ came to be. Witnesses claimed that the castle’s gardens and rooms are haunted by an ecclesiastical procession, the knight on a horse and an evil priest. The story of the knight was cemented when bones of the person were found together with his horse’s skeleton. Haunted castles even made Italy more enjoyable to visit. Ghosts roaming its castles only show how copious Italian kingdoms have been – lordly, envious, and contrary to the norm.